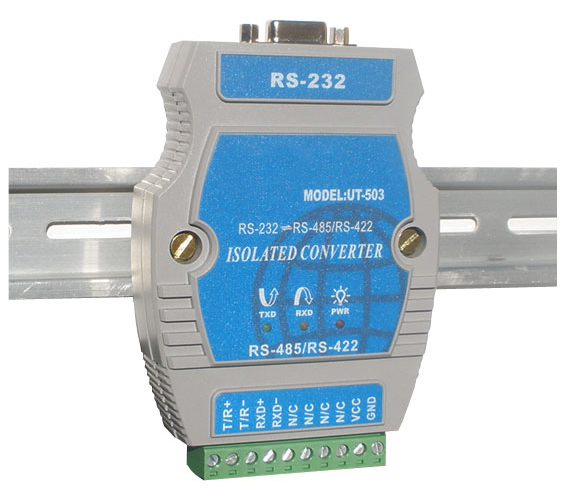 This is a fully optically isolated RS232 to RS485 / RS422 converter ideal for all industrial applications and projects sensitive to high voltage spikes. The isolated interface will effectively protect your devices and the converter itself against most types of high-voltage surges, spikes and ground-loops for up to 2500Vrms/600W and 15KV EDS static protection for each data line. This will also protect against data loss and other communication errors. The housing is made of hardened ABS plastic, so it won't break easily, and can be installed on a standard DIN rail or mounted with screws. LED indication lights for TX, RX and power makes it easy to see when power is on and when communication is present. 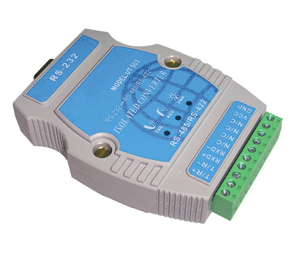 The converter automatically senses whether RS422 or RS485 is connected to the interface, simply connect the wires and its ready to use. No jumpers, drivers or other software needed. 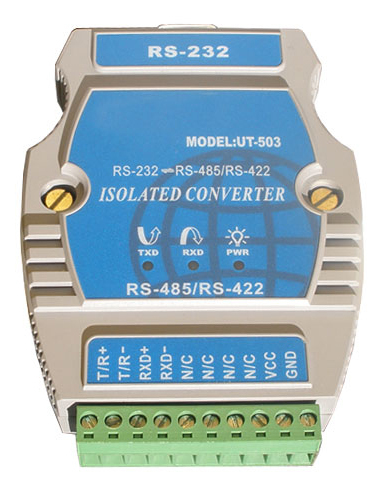 When choosing a converter for industrial or other critical communication finding a reliable product is essential. The UT-503 is designed with the industry proven and very reliable SP202E line driver from Exar. Optical isolation is achieved with high speed 6N137 isolation opto-couplers from Fairchild Semiconductors. This design makes a very reliable and high performance converter. 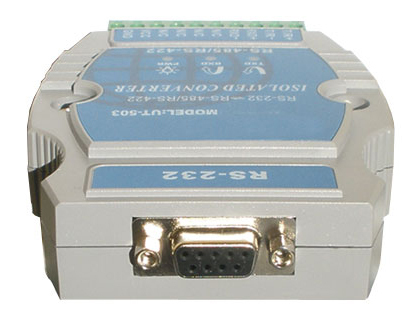 This converter must be powered by an external 9 to 30VDC power supply (not included). A 4-feet M/F Serial cable is included in the package. 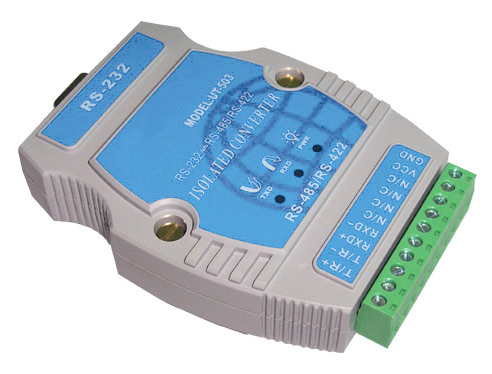 Optical Isolation 2.5KVrms/600VDC isolation, dedicated DC/DC module.